Going through hard times at the moment with money, so to save more and spend less, I spent almost two hours exploring the rails in Primark. 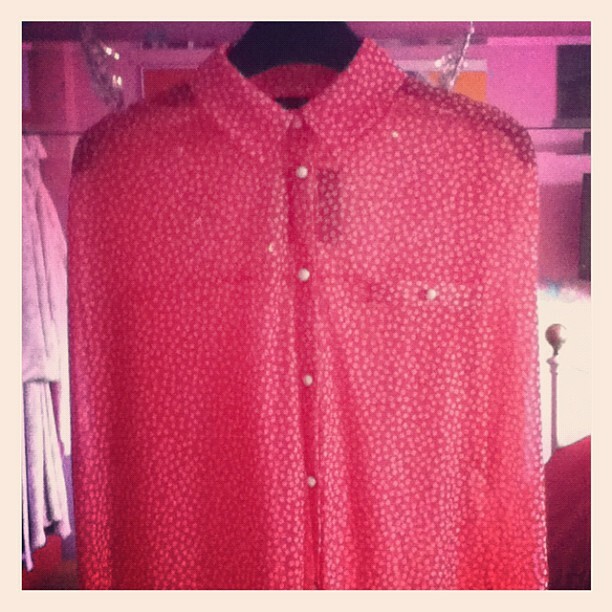 I only came out with two blouses but I was perfectly happy with that. Red button up blouse with white polka dots! Simply cute. LOVE the collar on this blouse. It's quirky, different and on trend. Love my new purchases! You can check them out further on my Twitter and Instagram. 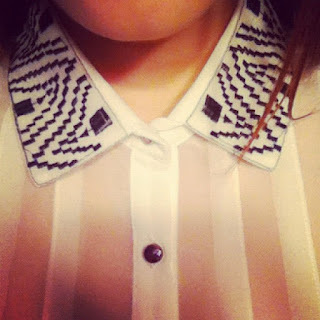 Big buttoned up collars are a big trend at the moment and have been for a while. I'm so glad it's continuing itself through the summer of 2012! Collars can be worn casually and formally, and can be mixed up with a blazer or cardi or even a waistcoat and an overdose on necklaces! Keep visiting for more posts on outfits and trends!